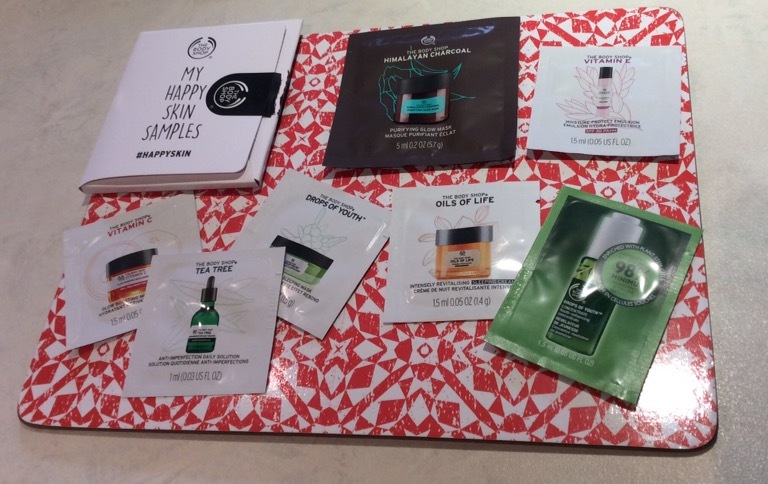 First one is through the The Body Shop facebook page / Claim Free Face Mask link, Click Claim One and enter your details and then you will receive an email voucher which you just need to show on your phone in The Body Shop store while stocks last, you can send link to three friends too. You will receive three 5ml Masks – I am planning to try mine tomorrow and then do a quick review on them too. 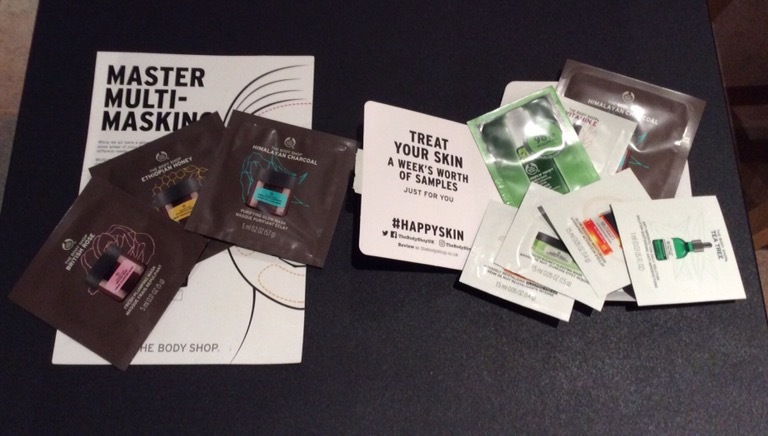 Second one that is available with consultation while stocks last is The Body Shop My Happy Skin Samples pack – 7 personalised samples included one of which is another face mask – a week’s worth of samples – I cannot find a link online but just ask in store while stocks last – I personally think this is a great way to try Body Shop products – so looking forward to trying these too. 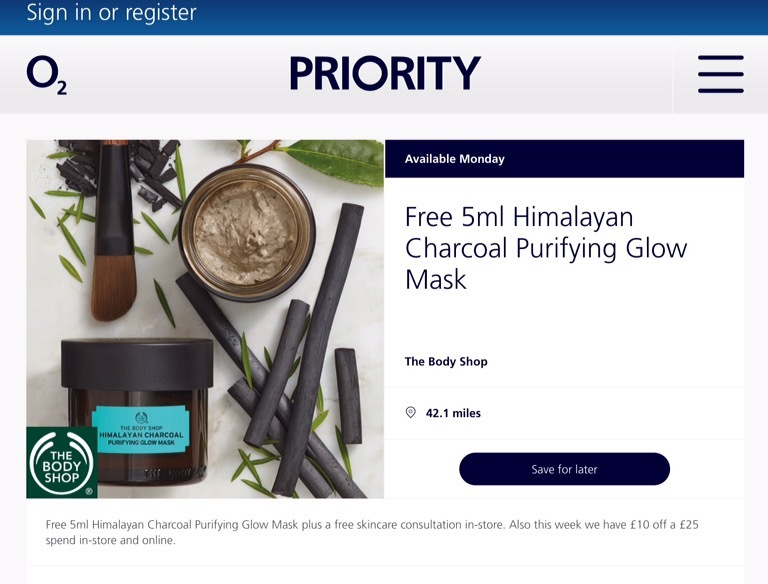 Last but not least is the o2 priority one that is available from Monday 29th August 2016 – just show o2 priority offer on your phone in-store to receive another 5ml Himalayan charcoal purifying glow mask as below – just need to download o2 app if you have not already and remember not to press use now till you are at the counter. I hope you found this useful – remember all the above offers are / will be available while stocks last, so the quicker you can get into a participating store the more chance samples will still be available – I also intend to do further short posts on other offers I have been lucky enough to get and are still available.